…when you want something really bad? That aching feeling that you just can’t shake. The longing and obsessive day dreaming. I found myself in that place almost a decade ago when I sat in my corporate day job cubicle for 9 hours a day daydreaming about leaving and building my own successful coaching, speaking, and training business. I longed to help others build a life and business they absolutely loved. I longed to help people break free from the limiting beliefs and circumstances that held them back. The longing was an all-consuming obsession. You’re longing for a career or business that fills your heart and soul, you have a burning desire to do work you’re passionate about that serves a greater purpose, and you’re just sick and tired of trading the days and hours of your life for a lifeless career. …a happier life for you and your family. I personally know how that feels, and I also know that these are not just daydreams or fantasies; this is your heart tugging to get your attention, telling you that there is something more for you. That you are meant to be more, do more, and have more in your life. Oh boy! I know all those reasons all too well! I’ve been there too. When I’d find myself day dreaming about my dream business I’d quickly hear myself negotiating the terms of what it would take to make my dream my reality. The dream is quickly crushed with negative self-talk. I was paralyzed by the back and forth. I was ambivalent and wasn’t taking any real steps of significance. Fast forward to almost a decade later now and being my own business owner, having coached thousands of people from all over the world, I have discovered that many people find themselves in a similar place – having the difficulty bridging the gap between their greatest burning desires and their current reality. They can’t seem to make the two come together. 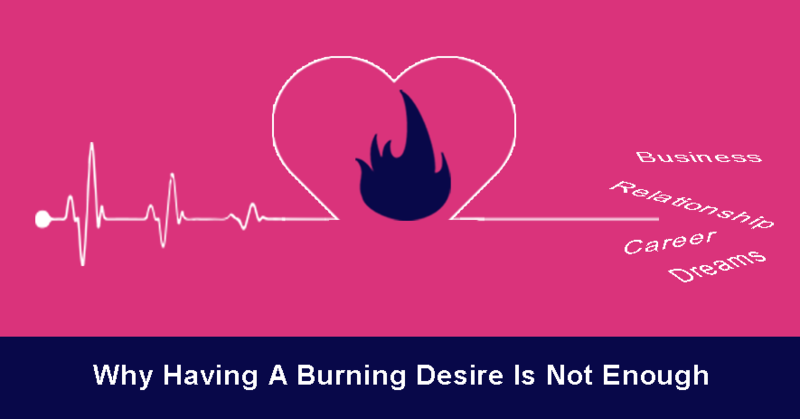 Your burning desire is not enough. Wanting it really, REALLY bad isn’t going to cut it. Even though most people are likely, at some level, faith-based people, they struggle to take a leap of faith and go for it. They wait for their circumstances to change instead of choosing to change their circumstances. They treat their dream like a hobby. They dabble, they play, but they never really live their dreams. I did it for many years in my corporate day job. I’d start doing things on the side, but never really fully commit to it. I’d do a little here and a little there. Nothing ever took off. The only thing that “took off” was my frustration. It’s impossible to achieve dream-level results with hobby-level effort. When it comes to living your dreams, a hobby just won’t do. You’ll never be fully satisfied. It’s like just taking one tiny bite of your own birthday cake! How fun is that?? It’s NOT! You have to stop treating your dream like a hobby. You have to break out of the torturous cycle and start closing the gap between your greatest burning desires and your current reality. You must be willing to make a sacrifice. No matter what the sacrifice looks like for you – time, energy, money – you can’t move forward without moving forward. Change can’t happen if we are rooted in one spot. In order to live your dream, you must do something you’ve never done before. You have to do the ACT. Whether the act is to say “yes”, get up early, pay the fee, create the team, work on the relationship, share your vision, launch your product, go back to the drawing board, or create something new – you just have to do it. When you act, you make the sacrifice. And each sacrifice you make builds your belief. When I started on my own journey, all I had was a tiny seed of belief. With every intentional sacrifice I made, I took a baby step closer to my dream. These baby steps were not only building my dream one step at a time, but they were also building ME! My belief in myself grew every step along the way. In order to build myself and my business, I dished out tons of money, gave up sleep, vacation days, and time with friends. I value all of these things, however the return in the long run has been much greater. I now have all those things 10x to what I had back then! Every time you choose to move forward, you come closer to the person who was made to live your dream and fulfill your God-given purpose. You must know your greater purpose in life. You can’t turn your daydreams from a hobby to a reality without the act of sacrificing, and you can’t make the sacrifice if you’re not 100% crystal clear about your purpose. Do you know your purpose in life? And can you clearly articulate it? Unfortunately many people aren’t clear on their purpose and/or they can’t clearly articulate it; and that’s why they are stuck with an unfulfilling career and a daydream. Knowing your greater purpose in life allows you to get clarity and direction to make the RIGHT sacrifices and take the RIGHT steps forward. Knowing your purpose also makes those sacrifices MUCH easier because you know they’re serving a bigger purpose. You actually ignite the part of you that cannot-not do it! (Yes, I know that’s a double negative, but you get what I mean!) It’s like putting the thing you cherish the most right in front of you, but not letting you have it. Of course you have to have it! Once you know your purpose, you have to live it! There’s really no other option. So if you want to break out the torturous cycle and start closing the gap between your greatest burning desires and your current reality, then you must find clarity on your purpose. Since most people struggle with this, I’m going to help you uncover your purpose. By the end of the audio file, you’ll not only feel like a spark has been ignited inside you, you’ll see a new path forward for your life. A life where every single waking minute of the day, you are truly living in alignment with your highest and greatest good, and you are your most fulfilled and happiest. Take the first step now…make the ACT. 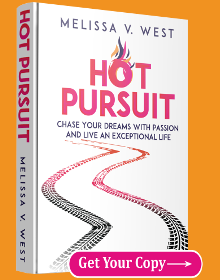 Melissa V. West is the founder and President of Xtreme Results, LLC – a powerful catalyst for life transformation. 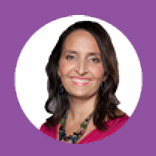 She encourages business professionals to rediscover their passion and empowers them to create the amazing life of their dreams. 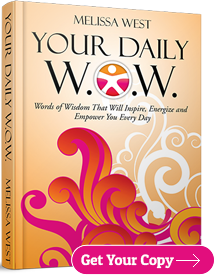 She shares this message worldwide through coaching, training, mentoring, and keynote speaking. Melissa isn’t just a business owner, but also a wife and mom. Connect with her on Twitter and Facebook.